Dawn Foster - What Is Ignite! Ryan Gardner - How to take better pictures. Are you in Portland or Salem and want to come down on an awesome Hut Shuttle bus with Wifi and Beer? See you at Willamette Innovators Night 09! 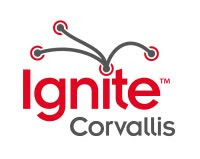 Ignite Corvallis 2 Was A Blast!